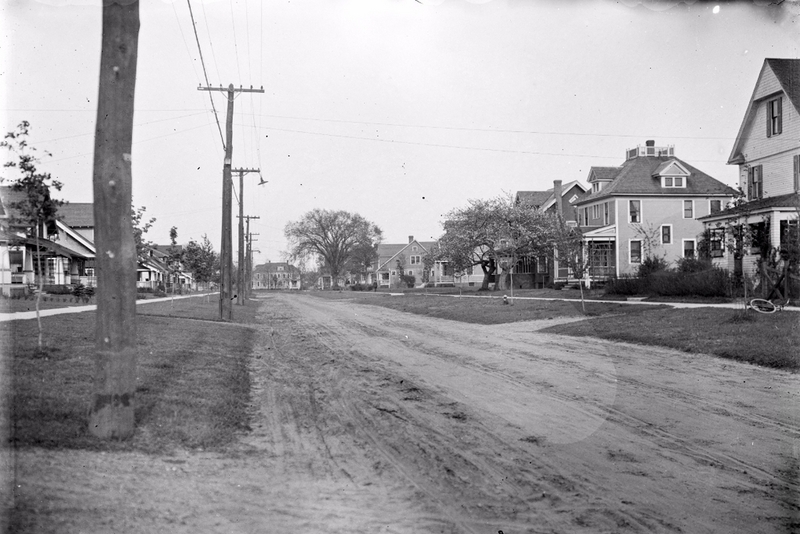 Looking east on Bliss Road from near Longmeadow Street, on May 14, 1918. Image courtesy of the Longmeadow Historical Society, Emerson Collection. 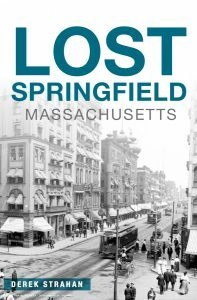 As Springfield grew in population in the early 20th century, so did Longmeadow to the south. 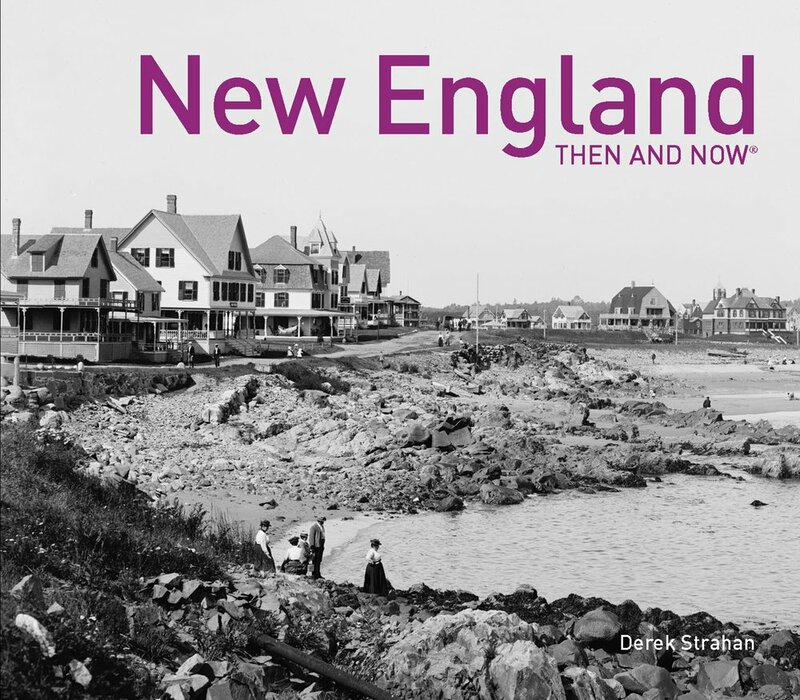 From a population of just over 800 in 1900, the town more than tripled by 1920 as large tracts of land were subdivided and developed. This was the case here on Bliss Road, where most of the houses here were newly built when the first photo was taken. The two houses on the right are slightly older, dating to about 1905-1910, but the rest, including the row of Craftsman-style bungalows on the left, were built around 1915. Very little has changed here in the past 98 years; the Bliss Road went from a dirt road to one of the main east-west roads in town, but otherwise the houses are all still standing, with a couple of new ones in the distance. 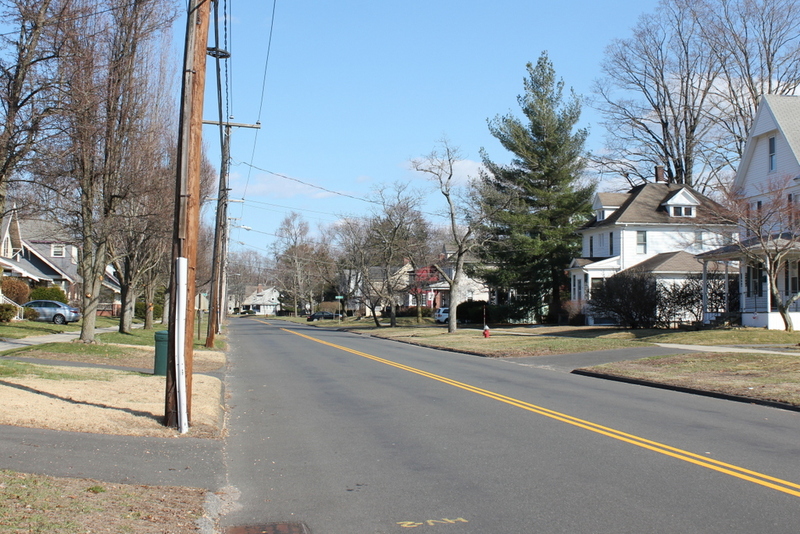 Even small details, like the fire hydrant on the right side of the road, remain today, and I have to wonder if some of the telephone poles from the first photo are still there too.